In a recent bulletin, The Royal College of Chiropractors Health Policy Unit supports the notion that NHS patients with musculoskeletal conditions should have direct access to skilled and competent health professionals who can assess their needs and provide appropriate care. It explains that chiropractors, regulated health care professionals who already fulfill this role in private practice, have the necessary skills and competencies and are ideally placed to offer this to NHS patients in the community. The RCC’s Health Policy Unit has published a document outlining the skills and competencies of chiropractors in the context of managing low pack and radicular pain. A recent RCC Research Bulletin highlighted the comparative effectiveness of spinal manipulation for sciatica. These findings are compatible with the ‘Pathfinder’ Pathway of Care for Low Back and Radicular Pain (NHS England, 2014) which provides a generic pathway for the management of low back and radicular pain based on a consensus of all stakeholders. For further details, please read the RCC Health Policy Unit’s bulletin. A recent network meta-analysis of the many different treatment strategies for sciatica has concluded that spinal manipulation is one of a number of interventions that provides significant improvement compared to inactive control or conservative therapy. For further details, please read the RCC Research Committee’s bulletin. “Registered chiropractors’ and undergraduate students’ attitudes, knowledge and understanding of clinical governance and patient safety: A National Review.” Click herefor application details. “Development and validation of a smart phone/tablet-based innovative and objective Clinical Photographic Posture Assessment Tool (CPPAT App) to explore the impact of chiropractic care on back and neck postural changes and their relationship to patient reported outcomes” Click here for application details. The Research Forum is rehousing itself on Facebook as a private group. If you have a Facebook account and want to join the group, please email the group facilitator at krw@peninsulaclinic.co.uk to be invited. As the Research Forum is a private one where posts can only be seen by members, you cannot ‘see’ the group without being invited. The Royal College of Chiropractor’s Health Policy Unit has issued a bulletin regarding consent. This follows a High Court ruling that means, when seeking consent, doctors will have to ensure the patient is aware of any material risks involved in any recommended treatment. The Royal College of Chiropractor’s Research Committee announces the launch of a new online research discussion forum to facilitate collaboration and encourage interest and participation in all aspects of research. The forum is aimed at all members with an interest in research, as well as established researchers. It is a place to share your expertise, pick up the expertise of others, share resources, find answers to your research questions, find participants, access data etc. We hope to make it a central point of contact for the many researchers and interested parties that exist in our ranks, ultimately to facilitate the growth and quality of future chiropractic research. To participate, log in to this website and then click the ‘Forums’ menu which will appear. The Royal College of Chiropractors’ Research Committee announces the availability of two personal grants of up to £1600 each for the 2014/15 membership year. These grants are to help support RCC members who are registered on part-time PhD or Professional Doctorate programmes while also active in clinical practice. RCC members are eligible to receive a grant up to three times during the course of their PhD studies. An application form, which includes the terms and conditions of the grant award, is available here. The closing date for applications is Friday 27 February 2015. The Royal College of Chiropractors launched a new Chiropractic Quality Standard on Clinical Governance at its AGM yesterday, the latest in a series of RCC Quality Standards that aim to make it clear to patients, the public, healthcare professionals, commissioners and chiropractors what high-quality chiropractic care looks like. This new quality standard departs somewhat from the existing chiropractic quality standards which have largely focused on conditions. NHS England Pathfinder Projects were established to address high value care pathways which cross commissioning and health care boundaries. The Trauma Programme of Care Board selected low back pain and radicular pain as their Pathfinder Project and the Clinical Group, which included RCC Health Policy Unit Chair, Mark Gurden FRCC, has now produced its report, highlighted here. The RCC has announced £100k of matched-funding towards full-time PhD studentships (approximately £8k per student per annum) over the next three years. The aim of this initiative is to develop research expertise and to contribute to the evidence-base. Applications are invited from UK Higher Education Institutions for studentships, commencing at the start of the 2015/16 academic year, and will be considered in a range of priority areas identified by the RCC. The RCC will award 50% of the cost of full-time three-year studentships with the remaining 50% to be provided by the Higher Education Institution and/or other grant-awarding body. Priority will be given to collaborative ventures between chiropractic and non-chiropractic institutions. Full details here. The RCC Research Unit has highlighted a recent systematic review of the cost-effectiveness of manual therapy for musculoskeletal pain. The study, published in the Journal of Manipulative and Physiological Therapeutics, was funded by the Royal College of Chiropractors. The findings were positive for the cost-effectiveness of manual therapy approaches to management of low back and shoulder pain, but found inconsistent results for management of neck pain. A new NHS five-year plan was unveiled this morning by Sir Simon Stevens, CEO of NHS England. It emphasised a need to improve efficiency and change the service to encourage prevention of chronic conditions in order to reduce the number of patients who need long-term care or hospital treatment. Speaking on The World at One on Radio 4 today, Minister for Life Sciences, George Freeman MP, welcomed the emphasis on prevention and innovation. He announced a further £300m for clinical research for the NHS to look into early diagnosis and prevention of disease, and to develop a modern and dynamic approach to healthcare. 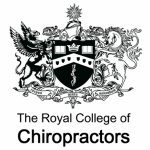 The chiropractic profession has a strong track record in the prevention of chronicity and the Royal College of Chiropractors looks forward to being involved in the ensuing debate. The RCC Research Unit has highlighted a recent review article from the American Heart Association Stroke Council that provides a scientific statement for healthcare professionals of the current state of evidence on the diagnosis and management of vertebral and carotid artery dissections and of their statistical association with cervical manipulative therapy. The article, published in Stroke, was produced by a multidisciplinary writing group that included a chiropractor. It makes important reading for any chiropractor as it provides the most up to date evidence summary for cervical artery dissections. The Royal College of Chiropractors is pleased to announce that a number of bursaries are to be awarded for the coming 2014/15 academic year to enable RCC members to register for Masters-level modules in Research Methods, Evidence-based Practice of Clinical Audit at little or no cost to themselves. Simple, manual palpation of a patient’s pulse could help in the detection of atrial fibrillation (AF), a significant risk factor for stroke. The RCC Health Policy Unit has highlighted a recent article that suggests more opportunistic testing of patients could help in the detection of AF, which is often asymptomatic. The GCC is holding focus groups throughout September and October in order to inform its reviews of the CoP & SoP and its CPD scheme. Full details of these events, including dates and timings and how to register, can be found here. The GCC has also launched a short survey on how chiropractors select CPD providers, accessed here. The RCC has launched a series of ten new online learning modules. Designed to assist chiropractors in ethical practice/service development, these modules are free to current PRT candidates. Please contact admin@rcc-uk.org for more information. The Law Commission has published a report and draft Bill describing its recommendations to Government for the regulation of health care professionals (including chiropractors) and, in England only, the regulation of social workers. The GCC has produced new CPD guidance which seeks to clarify CPD activity it will not recognise in terms of chiropractors’ statutory CPD requirements. Note that the CPD rules have not changed. The Royal College of Chiropractors announces the publication of a new Chiropractic Quality Standard for Chronic Low Back Pain. Designed to help deliver the best possible outcomes for patients, the RCC’s Quality Standards are a series of specific, concise quality statements with associated measures that provide aspirational, but achievable, markers of high-quality patient care. The full document can be downloaded here. A separate list of the quality statements is available here. An associated audit toolkit is available to members from the Audit menu. NICE has released an updated guideline on the management of osteoarthritis. The RCC’s Pain Faculty has produced a summary of the guidelines, available here.